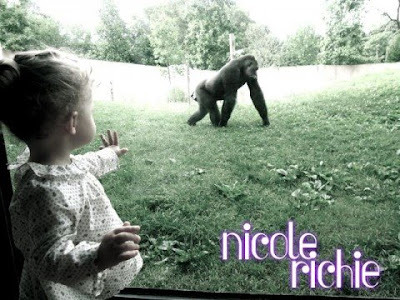 A few weeks ago Nicole Richie and her family went to Philadelphia for a short break and here is some of their personal pictures.. Joel Madden posted these pictures on his Twitter ..
"We also went to America's first Zoo. Harlow really enjoyed the Hippos. Nicole somehow found a way convince Harlow that i am a gorilla. " "So a few weeks ago we were in PHILLY. One place i consider a home away from home. And we saw the Phillies/O's game. 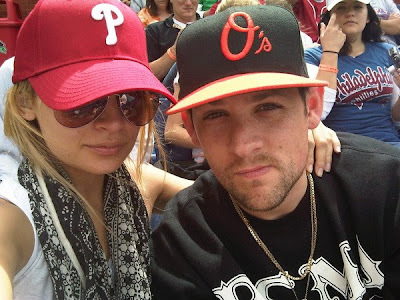 The O's won of course....Still @nicolerichie had to root for against me!"